Decreasing overuse and non-contact injuries is a major focus at Prue Physical Therapy & Sports Performance. Many of you know that we offer free injury prevention screenings, injury prevention programs and conduct seminars on different topics pertaining to injury prevention and proper training tips. We would like to continue sharing more information on these topics using a series of blog posts. So if you have a certain question or topic you would like to know more about feel free to email us at kevin.prue@pruept.com or message us on Facebook and we may select your question for one of our next topics. Since basketball season is just getting into full swing we thought talking about ACL injury prevention would be a good place to start. People who are physically active and participate in sports like basketball, soccer, football and skiing are the ones who are at greatest risk of injuring their ACL. The ACL is one of the 4 major ligaments that provides stability to the knee. Damage to the ACL can decrease stability, decrease coordination and hamper mobility. In a given year there are up to 200,000 ACL injuries (http://healthresearchfunding.org/acl-injury-statistics/). About 70% of those injuries are non-contact injuries. Even though females are at a greater risk of ACL injuries, more males suffer ACL injuries on a yearly basis. 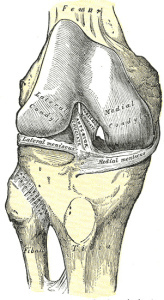 There are a variety of possible anatomical and physiological reasons as to why females are more likely to injury their ACL than their male counterparts, for instance a wider pelvis, foot positioning, knee alignment, joint laxity, hormonal differences and a smaller boney notch where the ACL is positioned within the knee. (http://orthosurg.ucsf.edu/patient-care/divisions/sports-medicine/conditions/knee/anterior-cruciate-ligament-injury-acl/). One thing that many individuals, both male and female, who injure their ACL have in common are decreased strength, muscle imbalances, and poor coordination of the muscles that provide stability and control the knee during movements such as running, jumping and landing, cutting and decelerating. This is where a physical therapist and a sound injury prevention program can help. Not every individual will have all of the same risk factors, so a good program should focus on deficits which are unique to the athlete. This program should include strengthening of muscles that may be weak, working on flexibility, plyometric training, motor control and biomechanical training and sport specific training. For example a basketball player may need to work on jumping and landing mechanics while a soccer player may need to focus on planting and cutting. This is why all ACL prevention programs are not created equally. While there is no way to completely eliminate ACL injuries, these types of injury prevention programs have shown to decrease an individual’s risk of having a non-contact ACL injury.